"Our Classes are Always in Session!" I don’t have all the facts. You simply can’t find out everything there is to know about your Amazon sales page. I have speculation about what worked and what didn’t work. Here are the hypothetical ways my books of creative writing prompts were able to sell over 20 copies a day, usually at $2.99 a pop, for an entire year straight. It all started with my blog, Build Creative Writing Ideas. My books started as posts on my website. If you looked up the term “creative writing prompts” on Google at most points in the last three years, a page on my site would have come up in the top 5. That was the first step to my success, though I didn’t know it yet. If you can be one of the first 5 to 10 sites to come up when people look up the subject matter of your book, you have a leg up on most of the competition. For what it’s worth, my pages got on the first page of Google through following the tenets of good Search Engine Optimization. My pages used the main keyword in the title, in at least one text link and approximately once for each 150 words of content. It doesn’t always work, but following SEO can certainly help to boost the pages of your site. Links from my blog to my sales pages were a major part of my success. I held contests and used Amazon Mechanical Turk to get stories written on my website that used my creative writing prompts. I used those stories as outgoing links to my first book, “1,000 Creative Writing Prompts.” I didn’t know what I was doing at the time, but I think I was improving the SEO of my book’s Amazon sales page by linking as many pages as possible to it. I now have over 100 story pages linking to my book, and I’m almost certain these links had something to do with increased sales. Lastly, I obtained links from other websites to my book through blog tours. Personally, I think this can only go so far (says the guy on another blog tour for a new book), but I think it’s an important practice nonetheless. For me, a blog tour is about two major things: connecting with new readers and getting new blogs to link to my Amazon sales pages. Writing 30 posts in 30 days is as much about the month when I’m posting as it is about a year down the line when those links are improving my book’s search results. I’m hoping that these links can improve my Amazon SEO and boost my sales. Once again, I don’t have hard proof of this, but I’m always willing to try something twice if it seems to work the first time around. I’m attempting to get better at promoting my books, because it’s an area in which I find myself to be lacking. In the meantime, I can be proud of the work I’ve done on my site and other sites to keep my book high in Google and Amazon’s eyes. If everyday or every-week promotion is not your strong suit, make sure your book is as search engine friendly as possible. And now, feast your eyes upon links to my book and blog tour contest as evidence that I practice what I preach! In honor of his new book, Cohen is hosting the “1,000 Prompts, 1,000 Dollars” Writing Contest on his website. Click the link to find out how to enter! Click the next link to check out the rest of Cohen’s blog tour! 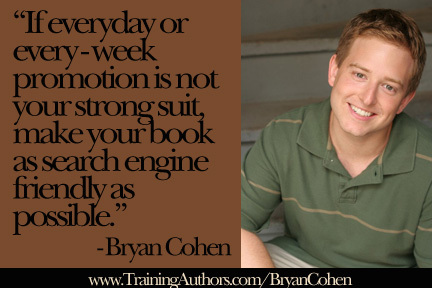 Bryan Cohen is an author, a creativity coach and an actor. 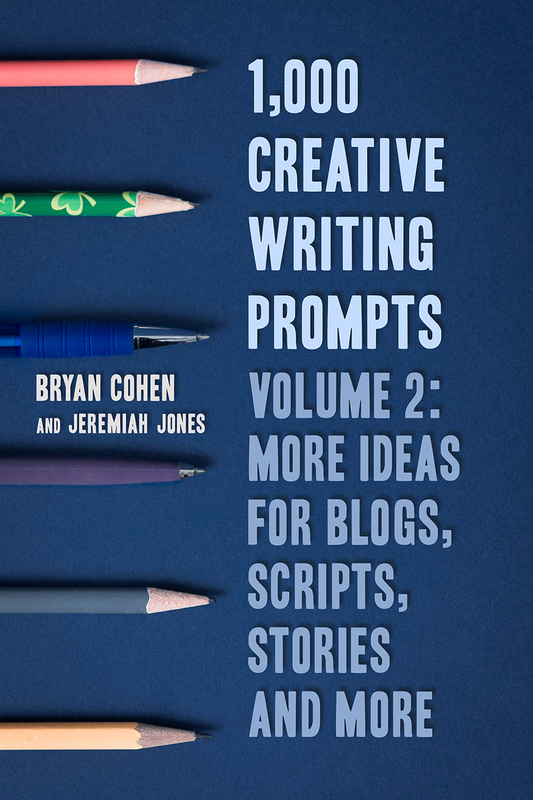 His new book, 1,000 Creative Writing Prompts, Volume 2: More Ideas for Blogs, Scripts, Stories and More is now available on Amazon in digital and paperback format. 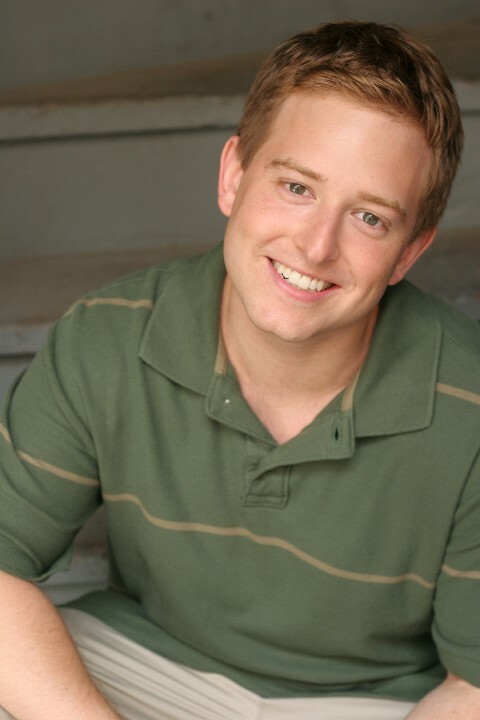 His other books include 1,000 Creative Writing Prompts, The Post-College Guide to Happiness, and Ted Saves the World. He has published over 30 books, which have sold more than 20,000 copies in total. Connect with him on his website, Build Creative Writing Ideas, on Facebook or on Twitter. Thanks Heather and Shelley for having me here today! Thanks for stopping by, Bryan. We love the saying, “Success Leaves Clues” and are excited to see what has been working for you! I, personally, don’t like blog tours. No one shows up, except for the next person in line or the person before me, and it’s depressing. However, I believe there’s a way to bring people to blog tours other than contests…but I haven’t figured it out yet. LOL! Anyway, congratulations and I’m looking forward to re-reading this posting for more insight, as well as seeing you on the blog tour circuit. LOL! Thanks, Markee! Good luck in your efforts. Blog tours are definitely tough. I’m sure there’s a way to change them up to bring in more folks :). Haha, I’ll see you around in blog tour wonderland! We’re glad you stopped by, too, Markee! Getting people to show up for your blog tours is all about finding the right blogs to stop by. The trick is finding blogs that have a regular following. We like to check Alexa ranks to see where they are at or browse through their blog posts to see how many comments they get. Great idea, Heather! I never thought of looking at ranks! 🙂 Thank you! Great nuggets to put in my kit bag! Thanks Bryan for sharing. You’re welcome. Thanks so much! As an author coach, I help nonfiction authors write, publish and market their books. I am passionate about helping you reach more people with your message. It's time to let your light shine. Download our easy, profitable, step-by-step book marketing plan you can implement immediately. Click the button below for instant access. Ready to Write Your Next Book?